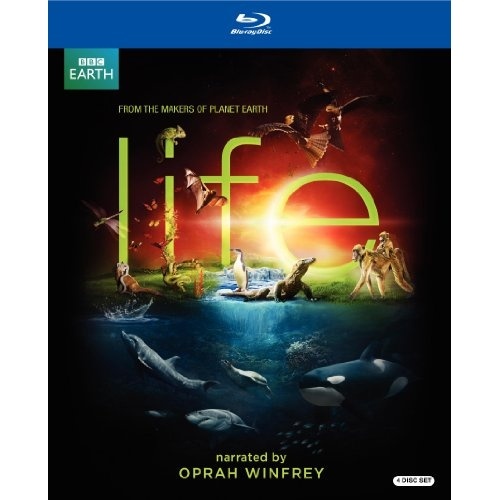 From the BBC and the Discovery Channel, producers of Planet Earth and The Blue Planet: Seas of Life, comes the newest landmark natural history series, Life. In Planet Earth, we brought you the world as you've never seen it before. Now, get closer with Life. Four years in the making, filmed over 3000 days, across every continent and in every habitat, with breathtaking new high definition filming techniques not available for Planet Earth, Life presents 130 incredible stories from the frontiers of the natural world, 54 of which have never been filmed before. 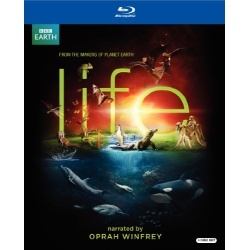 Packed with excitement, revelation and entertainment, this remarkable 11-part blockbuster, narrated by Oprah Winfrey, captures unprecedented, astonishingly beautiful sequences and demonstrates the spectacular and extraordinary tactics animals and plants have developed to stay alive.